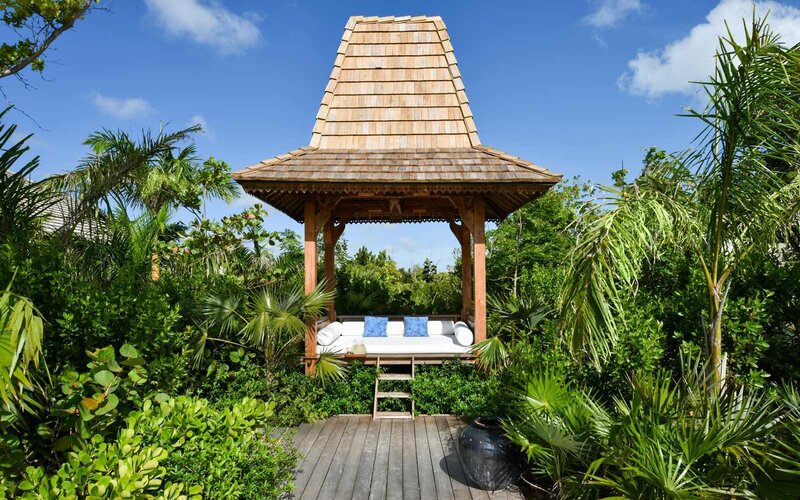 A leader in wellness since it opened 20 years ago on a private, 1,000-acre Turks and Caicos island, COMO Parrot Cay is known for its Asian-inspired aesthetics (nine of COMO’s 14 resorts are in Asia) and its bold-faced names (Donna Karan, Bruce Willis, and Keith Richards, among others, own private villas on the island). Guilty as charged. I’ve arrived here, at this serene Turks and Caicos retreat, with three days to decompress and a few nagging problems, including a newly diagnosed case of plantar fasciitis. Now, Dr. Parth, who’s spent 18 years studying with the foremost yogis and monks in his native India, is taking my pulse with his fingers, asking whether I grind my teeth at night, crave sweets, have mood swings. Questions answered and pulse established, Dr. Parth creates my Ayurvedic profile. He suggests meditation and dietary changes to help restore my internal balance and later emails me steps to take at home, including recipes for a warm tonic of cumin, coriander, and turmeric, and a coconut oil massage regimen. A leader in wellness since it opened 20 years ago on a private, 1,000-acre Turks and Caicos island, COMO Parrot Cay is known for its Asian-inspired aesthetics (nine of COMO’s 14 resorts are in Asia) and its bold-faced names (Donna Karan, Bruce Willis, and Keith Richards, among others, own private villas on the island). In the past year, COMO Parrot Cay has boosted its health credentials, adding a team of experts including Dr. Parth; a veteran Chinese medicine practitioner; a renowned therapeutic massage therapist; and a killer Pilates instructor. The spa holds free weekly cardio, yoga, Pilates, and meditation classes and hosts “wellness hour” talks on stretching, meditation, and Eastern medicine. The resort’s restaurants and bars offer healthy menu options that are simultaneously virtuous and satisfying.